Technical issues sensationally spat Johnny Rea off in Race 1 at Donington today while in a healthy 2nd position. Rea lead for most of the race as Chaz Davies gave it up following a low side at Goddards. 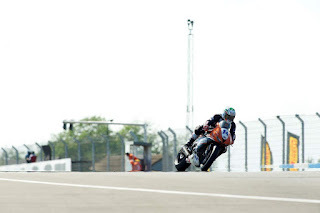 Eventual race winner Tom Sykes nipped past Rea at Redgate and from there on his lap times dropped dramatically. With 3 laps to go, the ZX10RR highsided leaving a bewildered Rea in the gravel who then returned to the bike instantly to examine the rear tyre. Eugene Laverty finished 13th after starting from 6th having a difficult race in the end. 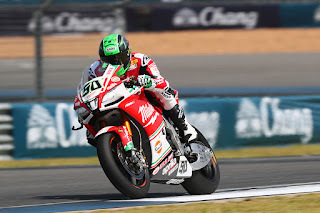 Initially getting away from the line in 8th, Laverty was steadily caught and passed, perhaps choosing the wrong tyre in the hope that rain might appear during the race. 2 more races from Donington park tomorrow on Eurosport with Johnny and Eugene as well as Irish interest in the World SuperSport race as Jack Kennedy has qualified a superb 5th on the Profile Racing Triumph 657R. 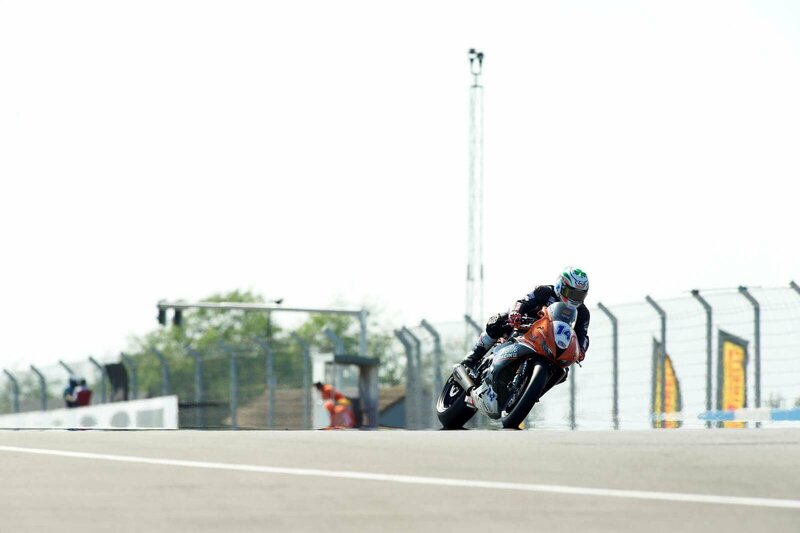 Images courtesy of Eurosport, Aaron Scott and Eugene Laverty.